Medicare Advantage Plans with their all-in-one Medicare packages are maintaining their popularity in Arizona, according to Google Trends. New enrollees are used to HMO- and PPO-style healthcare because that’s usually what they had with their employers. It’s just more of the same for them. Medicare Advantage Plans can also be a money-saver for those in good health because they usually pay lower premiums and avoid having to make copayments or pay coinsurance. 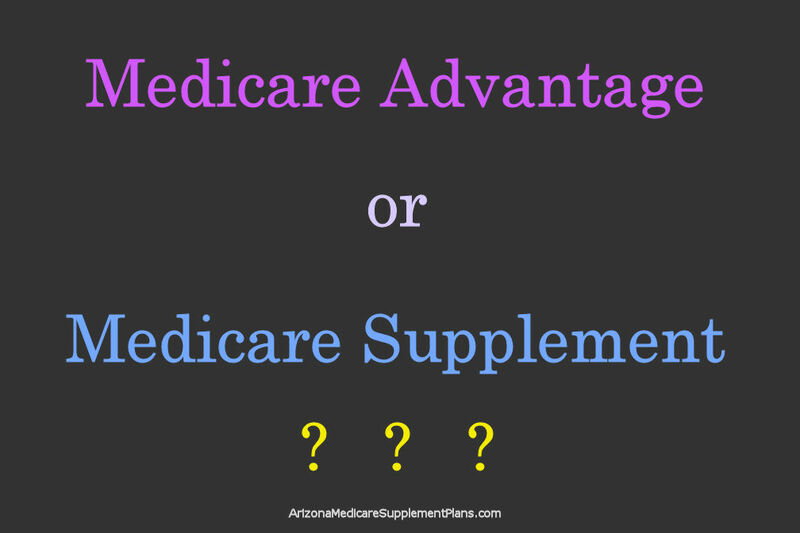 However, there are still some very good reasons to opt for traditional Medicare Parts A & B and one of the Medicare Supplement Plans (Medigap) that are available here in Arizona. One of those would be if you’re already under the care of doctors when you join Medicare and don’t want to risk having to leave them. Another reason would be to avoid the copayments or coinsurance that you’d have to pay in a Medicare Advantage program if you’re being treated for a chronic condition. The choice between a Medicare Advantage Plan and a Medicare Supplement Plan can be a difficult one. Your costs will depend greatly upon your physical condition and health outlook at the time of enrollment. It pays to speak with a trained Medicare consultant prior to making your decision.